Antalia Restaurant Antalia Restaurant is traditional Turkish restaurant famous for its ethnic Turkish food. Traditional Turkish cuisine includes salads, kebabs, main courses of Chicken, beef and lamb. There is a terrace for drinks which overlooks the channel and the traditional UAE past time of Shisha is also available from 3pm till 12am. Cuisine : Turkish Timing : Open everyday from 19:00 to 24:00, Sunday closed. Description : Unforgettable Turkish cuisine. Istanbul provides you with a taste of its rich and diverse culinary tradition. 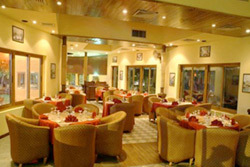 This charming restaurant is suitable for family gatherings, business lunches and intimate dinners. Enjoy the Turkish Delight buffet twice a week on saturdays and Wednesdays. Diger Turk restoranlarini bulmak icin google da "Turkish Restaurants in Abu Dhabi" aramasi yapabilirsiniz. Abu Dabi de yasayan turk sayisinin artmasi ile Turk restoran larin sayisinin buna paralel olarak artacagini tahmin etmekteyiz. Yeni restoranlar acildikca buraya ekleyecegiz. Antalia ve Istanbul restorani denemis olanlardan yorumlarini bekleriz.